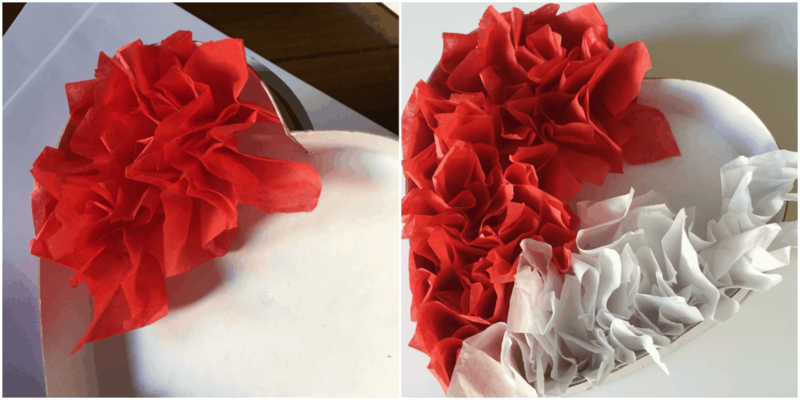 These fun recycled tissue paper hearts are the perfect addition to your Valentine’s Day Decorations. 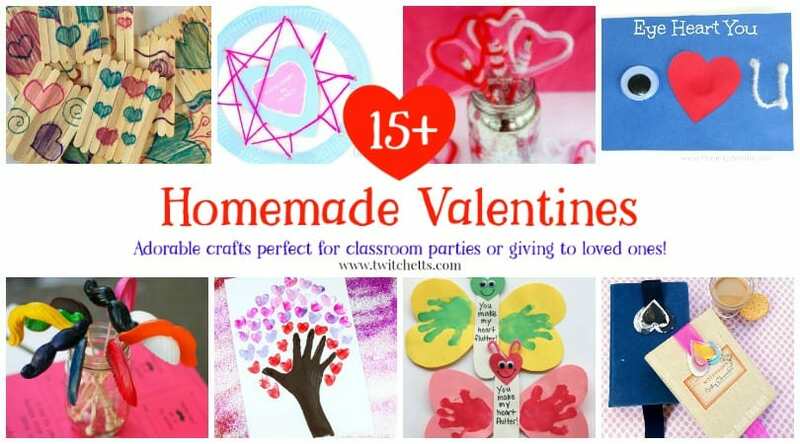 Valentine’s Day crafts are often glittery and over the top. 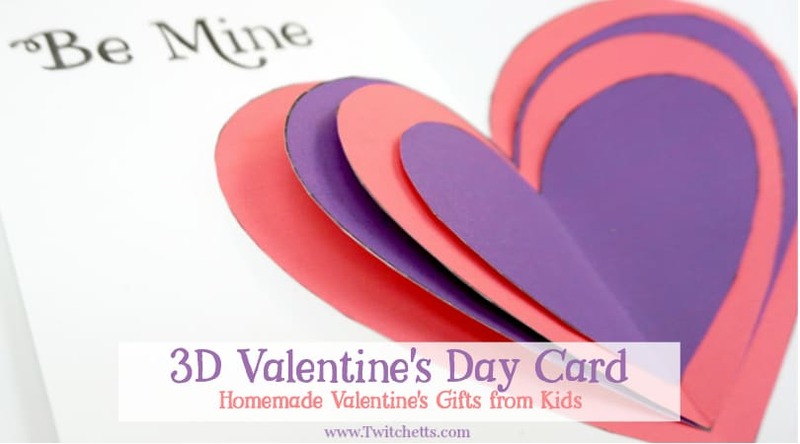 I love these Valentine crafts for kids because they use simple supplies from around the house, plus they are a lovely use for those candy boxes. Doesn’t it feel like we’re flying through the holidays? After the sting of Christmas on your wallet, the last thing on your mind is spending a bunch of money on Valentine’s Day decorations. Luckily I have a fast and fun DIY project for you. 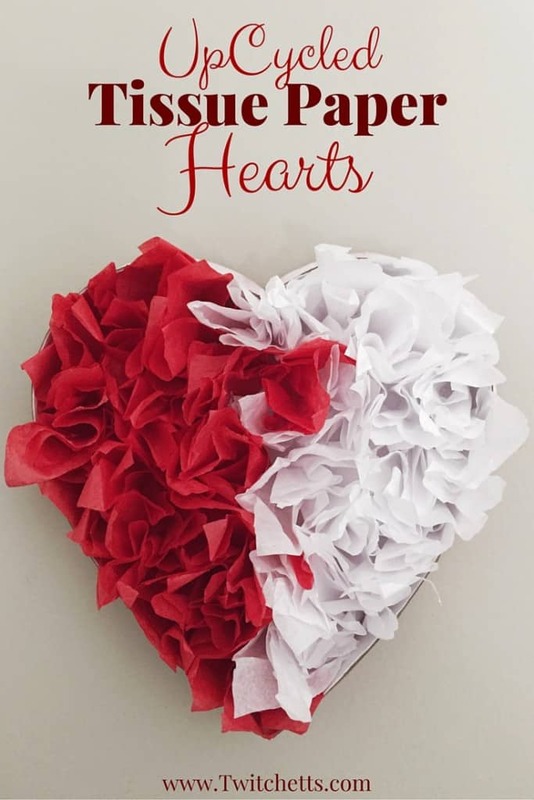 These recycled tissue paper hearts are easy to make, cost next to nothing, and turn out to be great Valentine’s Day crafts. 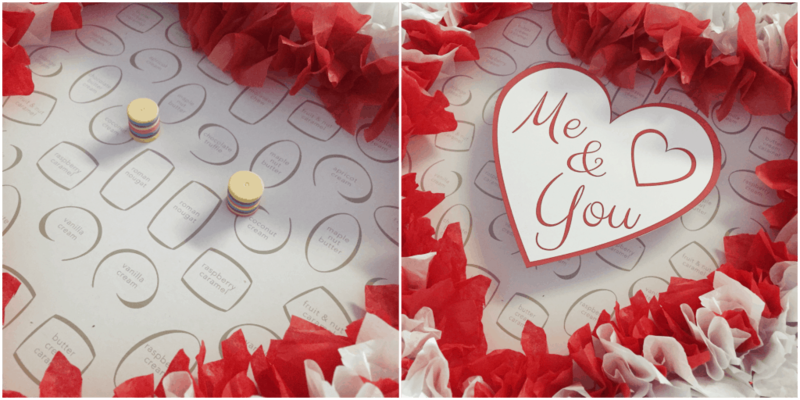 Don’t miss these fun and easy Valentine’s Day Crafts! 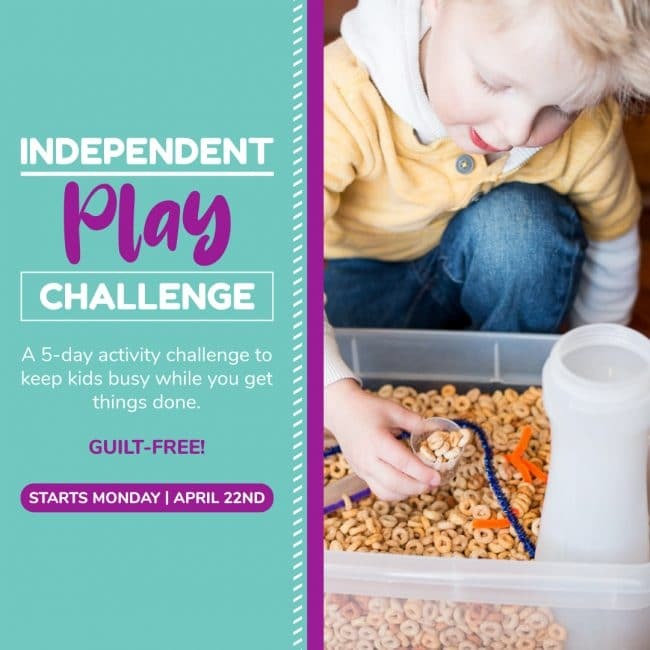 Disclosure: Some of the links in this post are “affiliate links.” This means if you click on the link and purchase the item, we may receive an affiliate commission. Start by cutting your tissue paper into squares. These do not need to be perfect! For my smaller heart, I used approximately 2″ x 2″ squares for the larger heart closer to 3 x 3 squares. Take your square and press the eraser end of your pencil into the middle. 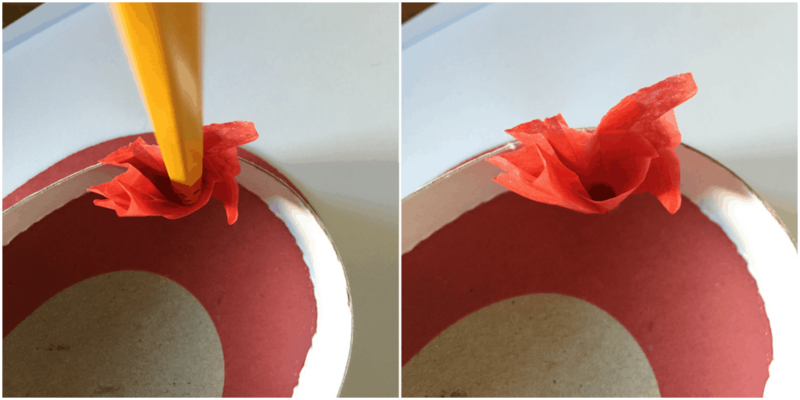 Pinch the tissue paper up against the side of your pencil and give a slight twist. 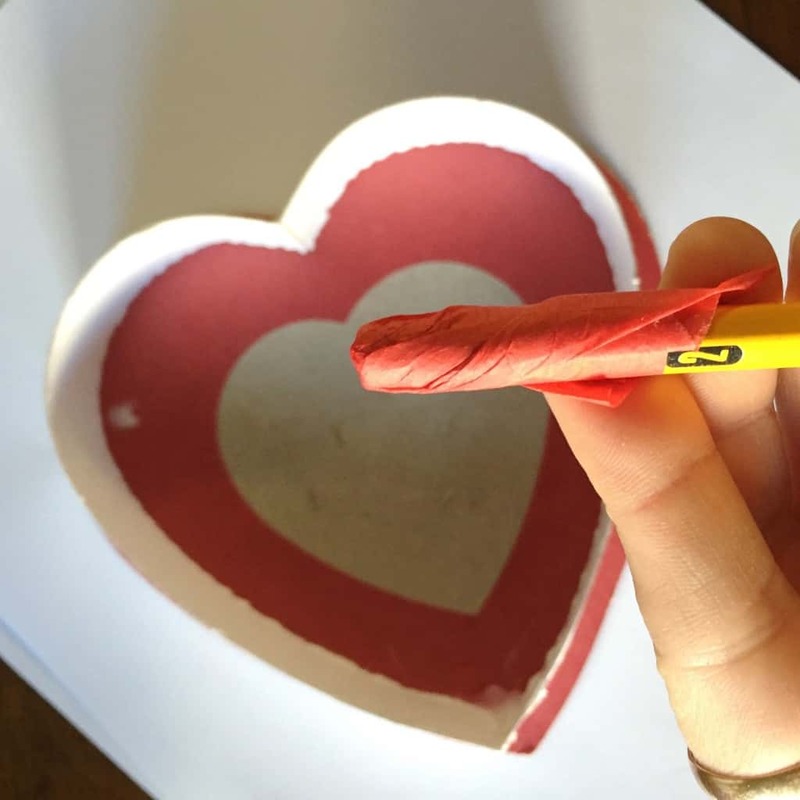 Dab the tissue paper into some glue and then press it into place on your empty heart box. Pull the pencil up, wrap another piece of tissue paper on, and repeat this process. Slowly fill your heart with tissue paper. You can go back in and add more paper in areas that seem like they need to be thicker. 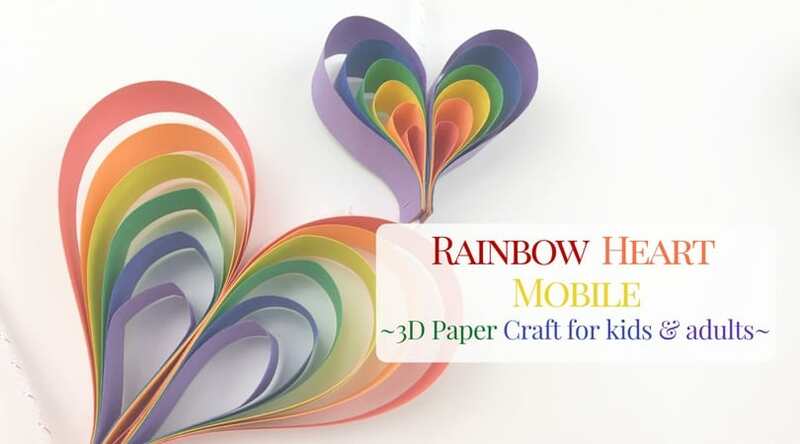 Related Craft: Colorful tissue paper butterflies! Last year my man got me the Big heart… I mean the Really Big heart. Because I am a self-proclaimed craft hoarder, I held onto it for a year. I knew it would be perfect for some Valentine’s Day crafts. If you’re doing a large tissue paper heart, I recommend adding a sign to the middle as I did here. I did prop the piece of paper up with some spacers. Then fill in around your sign with more tissue paper. 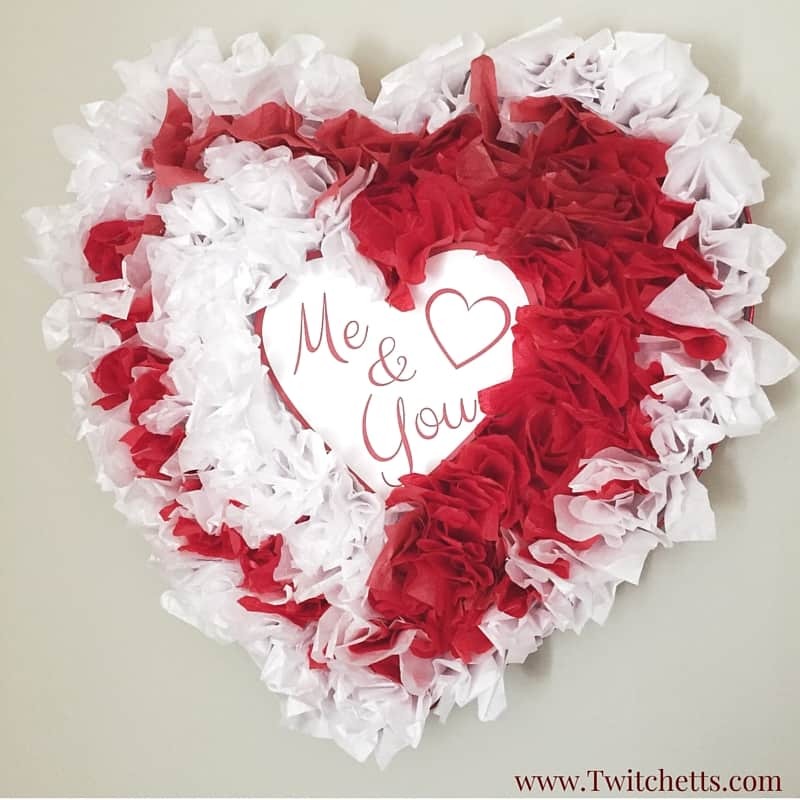 These Valentine’s Day decorations can be used anywhere! And if you don’t have room to save them for next year, you can toss them at the end of the season…they cost next to nothing! 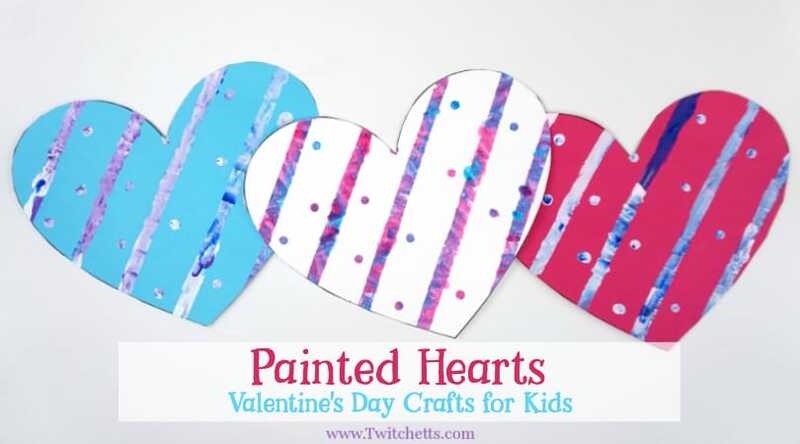 This Valentine’s Day craft is a perfect craft for kids, your older kids could easily help out. So don’t throw out those candy boxes! 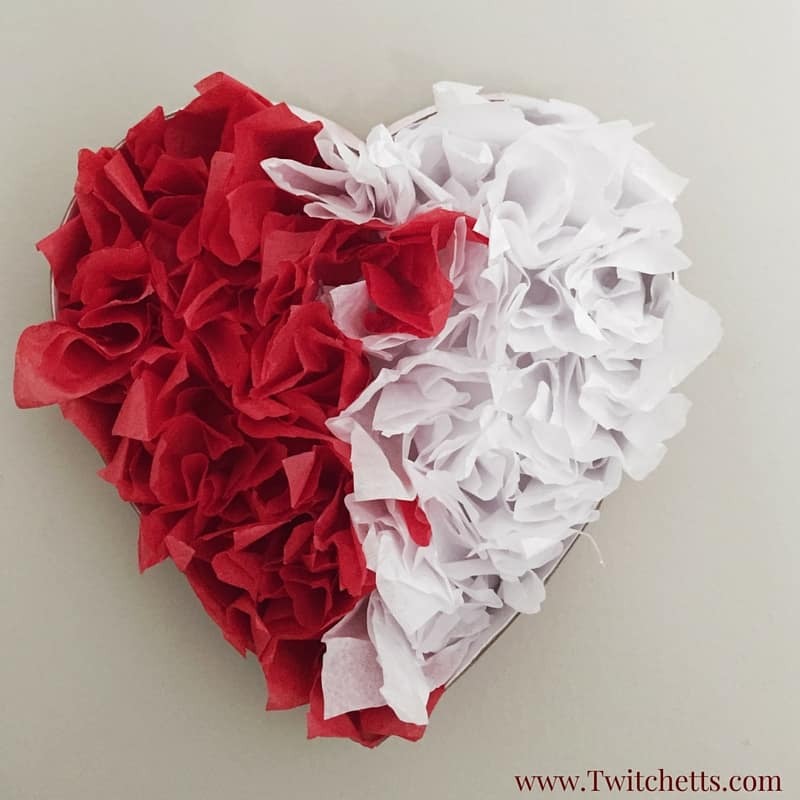 Try out these fun upcycled tissue paper hearts instead!